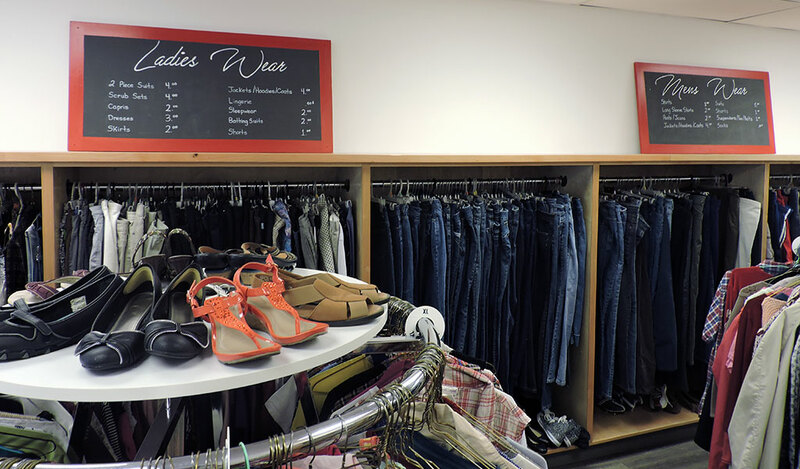 The Thrifty Treasures Thrift Store has been operated by CDS since 2005. This site supports approximately 12 individuals to build their skills and self-confidence in a thrift store setting where they learn integral skills such as communication, professional interaction, cash handling, merchandising, problem solving, organizing stock and learning to work in a team environment. They can then use these skills to secure mainstream employment within the community. Individuals receive a volunteer stipend with the added support of learning how to report income and budget for appropriate expenses.